WHAT: The University of Illinois Springfield Music Program presents its second of two Showcase concerts this fall, featuring performances by the UIS Flute Choir, UIS New Orleans Brass Band, and UIS Band. The performances are free and open to the public. WHEN: Friday, December 4, 2015 at 7:30 p.m. 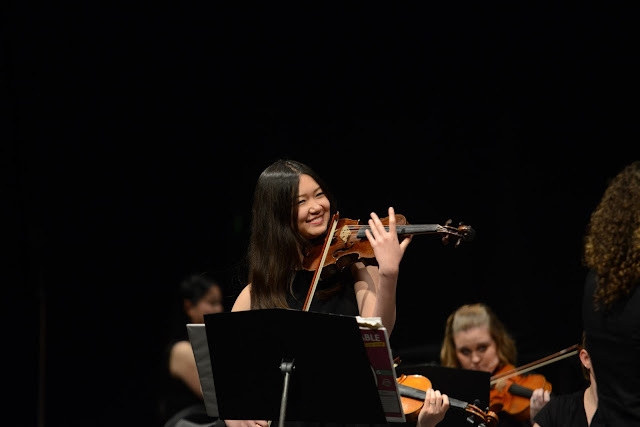 DETAILS: The event will feature a wide array of music including pieces by Anne McGinty, Michael Jackson, Dmitri Shostakovich, and Percy Grainger. The UIS Flute Choir, under the direction of Applied Music Specialist Abigail Walsh, will lead the program with an arrangement of "Simple Gifts" by Ricky Lombardo. Other pieces include "Masques", by Anne McGinty, and "Let There Be Peace on Earth" by Sy Miller and Jill Jackson. Directed by Brian Pryor, the New Orleans Brass Band will perform arrangements of “A Closer Walk With Thee” and "Brooklyn" and end with Michael Jackson's "Human Nature". The UIS Band will end the program under the direction of Abigail Walsh, starting with Steven Reinecke's exciting overture "Defying Gravity". Other works include "West River Jubilee" by John Darling, and "Symphony No. 1 In Memorian- Dresden 1945" by Daniel Bukvich, among others. 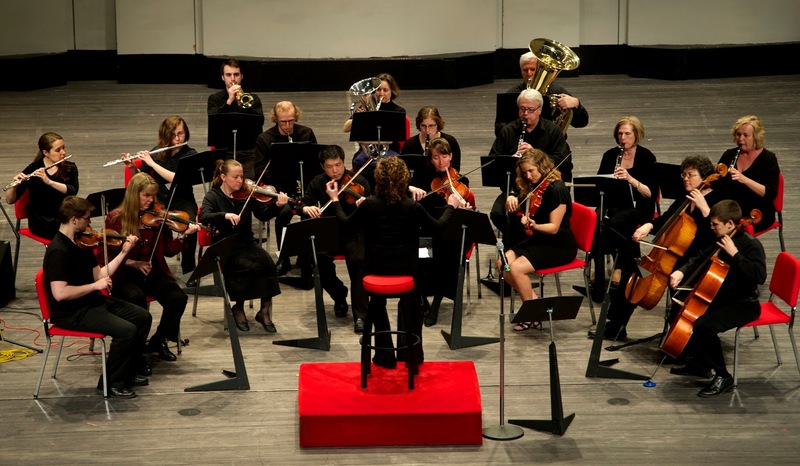 The concert will conclude with Dmitri Shostakovich's march, "Galop". The University of Illinois Springfield Visual Arts Gallery will hold its annual fundraising Silent Auction Benefit starting on Dec. 7, 2015. The auction offers a wide range of high caliber works donated by local and national artists, and is often referred to by community collectors as “the best kept secret in Springfield” for acquiring new original works at accessible prices. 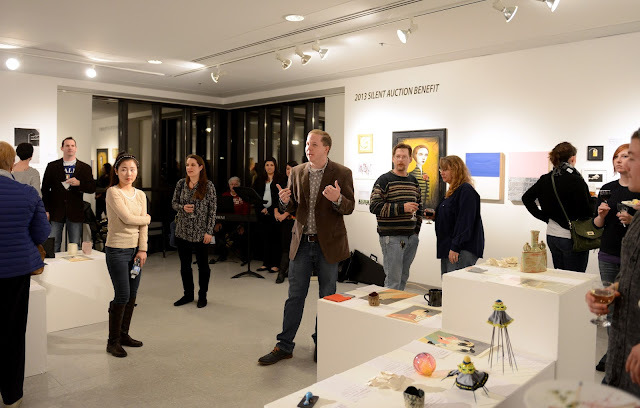 Bidding begins on Dec. 7 and a closing reception, along with final bidding, will take place on Dec. 10 from 5:30-7:00 p.m. in the Visual Arts Gallery, room 201 in the Health and Science Building on campus. All events are open to the public. Works of art were donated to the silent auction by local artists affiliated with the Springfield Art Association, the Prairie Art Alliance, The Pharmacy, DEMO Project, the Illinois State Museum, the UIS Visual Arts Gallery, and UIS Visual Arts faculty. In addition to the local donors, artwork was donated to the auction from artists from throughout Illinois and beyond. The UIS Visual Arts Gallery hours are Monday through Thursday, 11 a.m. to 6 p.m. For more information, please visit the UIS Visual Arts Gallery website at www.uis.edu/visualarts/gallery, or contact the gallery at 217/206-6506. WHAT: The University of Illinois Springfield Music Program presents its first of two showcase concerts this fall, featuring performances by the UIS Chorus and Chamber Orchestra. The performances are free and open to the public. WHEN: Friday, November 20, 2015 at 7:30 p.m. DETAILS: The event will feature a wide array of music including pieces by George Harrison, Handel, Mozart, and modern composer/arranger Tyron Cooper. The chorus, under the direction of Associate Professor Sharon Graf, will open the Showcase with “The Journey” arranged by Joseph M. Martin, and will end with an arrangement of “Follow the Drinking Gourd”, arranged specifically for the UIS chorus with chamber ensemble by Tyron Cooper. Directed by Assistant Professor Yona Stamatis, the chamber orchestra will perform a wind arrangement of “Christmas Psatorale” Messiah by Handel and end with the full orchestra performing Vittorio Monti’s famous “Csardas”. UIS Lunch & Learn Series presents "Vietnam: A Catalyst of Change"
WHAT: The University of Illinois Springfield’s Office of Advancement, Alumni SAGE Society, Chancellor’s Office and the Illinois State Historical Society presents “Vietnam: A Catalyst of Change” as part of the Lunch and Learn Series. WHEN: Wednesday, November 18 from 11:30 a.m. to 1:30 p.m. DETAILS: Americans’ responses to the Vietnam War ran the gamut, and the U.S. participation undoubtedly served as a catalyst of change for our country. Responses sparked internal conflict and questioning of societal norms. The impact can be felt today, 40 years following the fall of Saigon. Mark DePue, director of oral history at the Abraham Lincoln Presidential Library, will moderate a panel of speakers, who will discuss their Vietnam-era experiences and the war's impact on their lives and on today’s society. The cost for the hot buffet lunch and program is $23/per person. Reservations are requested, as seating is limited. Seating is available in the back for those who do not purchase the luncheon buffet. These lunch-time programs are designed to stimulate thinking as they build upon the university's tradition of open and intelligent dialogue. Visit www.uis.edu/advancement/alumni/ to register online. For more information, contact the UIS Office of Advancement at 217/206-6058 or advancement@uis.edu. WHAT: The University of Illinois Springfield Engaged Citizenship Common Experience (ECCE) Speaker Series will take a close look at school lunches during a simulation called “Lunch Hour”. The event is co-sponsored by the UIS Volunteer & Civic Engagement Center and Student Government Association. WHEN: Wednesday, November 18, 2015 at 6:00 p.m. DETAILS: “Lunch Hour” guests will be given $2.15 in simulated money and the opportunity to purchase real items to make their own school lunch. After eating and assessing the nutritional value of the lunches, guests will view the 2014 documentary film Lunch Hour, by director James Costa. 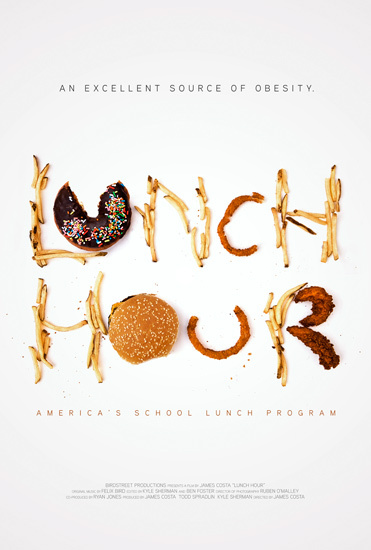 Lunch Hour examines America’s national school lunch program which exposes children to unhealthy, but culturally accepted foods at a young age. It delves into the economic, political, cultural and historical challenges facing schools that wish to provide healthy lunches to their students. The program will conclude with a discussion panel including members of a school administration, a school cook/chef, parent, student and a physician/ nutritionist with their unique viewpoints. The following events will take place during Sustainability Week at the University of Illinois Springfield (Nov. 9-13, 2015). Tuesday, Nov. 10 – Friday, Nov. 13 from 11 a.m. to 1 p.m.
Vote for your favorite entry in our First Ever UIS Sustainability Week Photo Contest! Photographs taken by our semi-finalists will be on display. Cast a ballot for your favorite. Members of Students Allied for a Greener Earth (SAGE) and RHA will explain how you can help make our campus more sustainable. Tuesday, Nov. 10 from 10 a.m. to 2 p.m.
Electronic waste can be incredibly toxic. Let us take it off your hands! Visit the BLH Computers web site (http://blhcomputers.com/recycling/) for a complete list of items that will be accepted for free recycling. Contact Dave Barrows, dbarr1@uis.edu, with any questions. 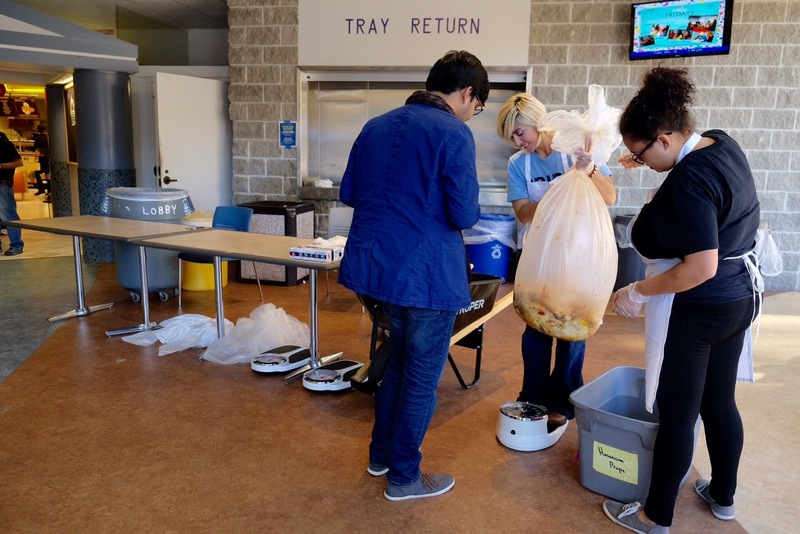 SAGE members will collect and enumerate the trash generated in the PAC Cafeteria and share the results so we can mend wasteful habits. Tuesday, Nov. 10 & Thursday, Nov. 12 from 11:45 a.m. to 12:45 p.m. Play a round of goofy golf on holes created from re-used materials by students in Prof. Powell’s Principles of Stagecraft class. "What is a Sustainable University? How Students, Faculty, & Staff Can Work Together to Create a More Socially Just & Ecologically Sustainable World" featuring Cindy Klein-Banai, associate chancellor of sustainability at the University of Illinois at Chicago. Saturday, Nov. 14 from 11 a.m. to 2 p.m. Volunteers Meet at Lincoln Residence Hall at 10:45 a.m.
Join SAGE members as they help clean-up campus. This is a wonderful opportunity to participate in a service day to make our campus beautiful. Contact Mihai Smarandescu at msmar2@uis.edu with any questions. Materials will be provided. Sponsored by the Campus Senate Committee on Sustainability, the ECCE Speaker Series, and Students Allied for a Greener Earth. For more information, contact Megan Styles at mstyl2@uis.edu.